The revenge flick is one of those film subgenres that always seem to satisfy despite how good or bad the movie actually is. We have a natural tendency to jump behind a character who has been wronged in someway, especially when those who engaged in the wrong doing are powerful and beyond the normal channels of justice. 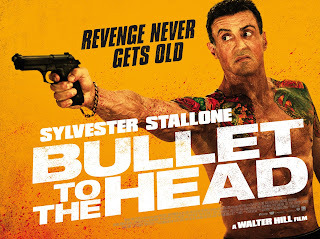 Bullet to the Head is most definitely a revenge flick, and while that means it definitely offers some degree of satisfaction, it would be a very average movie if it weren't for the presence of Sylvester Stallone. Stallone is just one of those actors that I find enjoyable no matter what he's in. While he always a plays a similar role (lovable, mumbling, wisecracking, tough guy) he has an onscreen presence that seems to grow stronger with time. 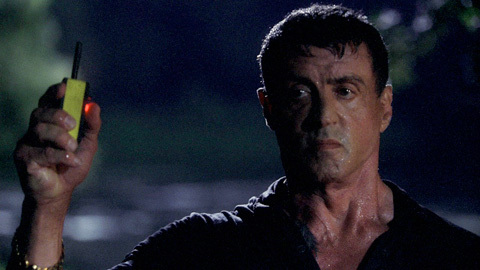 I know everyone likes to make jokes about Stallone's age but to be honest, Stallone still looks like a pretty rough dude and this role suits him well. Just watching, you can see that while Stallone comes in at the pretty average height of 5'10, he still looks massive next to nearly everyone else because of his build. 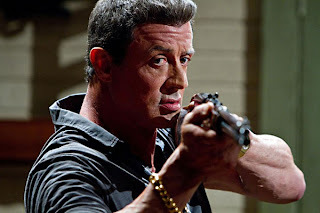 Stallone plays James "Jimmy Bobo" Bonomo, a small time hitman hired to kill a corrupt ex-cop. Jimmy's one of those tough guy hitmen who also has a code of honor(he doesn't kill women or children), lives out in a swamp on a stilt house, drinks a liquor no one has ever heard of, raised his daughter as a single parent, and rigs everything he owns to explode (just in case). An ounce of preparation prevents a pound of trouble. Of course, the powerful people who hired Jimmy decide to tie up loose ends. They start by killing Jimmy's partner Louis and also attempt to kill Jimmy; a big mistake that ignites Jimmy's quest for revenge. 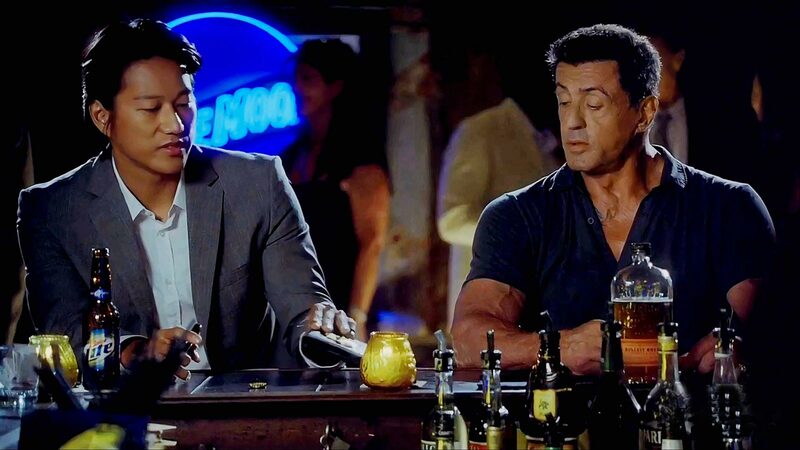 Jimmy reluctantly teams up with Taylor Kwan (Sung Kang), the partner of the corrupt cop Jimmy killed. While on opposite sides of the law, both men have experienced similar losses and want to take revenge on those too powerful to be "taken down" through normal, legal challenges. What follows is non-stop mayhem and a swarm of bullets to a multitude of heads. Director Walter Hill has a long history of directing westerns and action movies (including The Warriors, one of my favorites). I'm not sure if this was intentional, but this movie feels very much like a late 80's, early 90's action movie, sometimes even more so than the Expendables which paid direct homage to those beloved films. Combine a plethora of close quarters fight scenes, a foreign villain with a ponytail who is ex special forces, powerful businessmen involved in a real estate scam to build more condos and tear down the housing of poor inner-city folks, "buddy cop" movie dialogue between Stallone and Kang, and lots of talk about not playing by the rules, and you wind up with a movie filled with the staples of action films of the golden age of action movies. Pictured: Loose cannon cop Taylor Kwan and hitman with a heart of gold Jimmy Bobo. Not pictured: The Rules! Any revenge movie is only enjoyable as the various bad guys the protagonist gets to kill and let me tell you, Bullet to the Head has some very killable bad guys. While plenty of low level goons and mercenaries get wasted, there are of course the guys in charge who are really the top bananas that need to pay. The standouts of the crowd are Christian Slater as Baptiste, a big shot and slightly hedonistic attorney who likes throw swanky costume parties where many of the guests choose to not wear costumes (or anything at all), Adewale Akinnuoye-Agbaje as Morel, a powerful African businessman calling all the shots, and Keegan, a ponytail wearing killing machine who is also a former member of the French Foreign Legion. Keegan is played by Jason Momoa, who drove me crazy the whole movie because I knew I recognized him from somewhere but couldn't place his face. (I finally realized he played Conan in the recent Conan the Barbarian movie.) Momoa was a good pick to play a bad guy you'll love to hate: He's cold, ruthless, and cocky. You'll just be waiting for this guy to bite the dust. Alternate name for this film #1: Axe to the Throat. Bullet to the Head was filmed in New Orleans which gives the film a bit of a grungy vibe and nicely differentiates it from hundreds of similar films set in New York, LA, and Miami. The eclectic culture and geography of New Orleans also provides some great settings for frequent action set pieces throughout the film. The movie moves along quickly with Jimmy and Kwan traveling to Mardi Gras styled parties, backwoods Honky Tonk bars, bayou safe houses, and grungy inner city tattoo parlors while on their quest for revenge. Nearly everywhere they go, Jimmy and Kwan get into fights. I distinctly remember Stallone fighting guys in a swamp house, a hotel room, a public rest room, a parking garage, and a bath house. If you like variety in the venues where you watch guy get slammed into walls, you'll be satisfied. And I was. I was very satisifed with the action in this movie because it felt fairly "realistic". Most of the fight scenes were nicely shot and it was very easy to tell what was happening. Rarely did anything feel so polished and over the top to the point where I was rolling my eyes (granted, I'm not much of an eye roller). There was a very upclose and brutal element to the action in the film. Sara Shahi as Lisa Bonomo demonstrates to us that everyone in this movie has a tattoo.  Lately, Brad's been posting reviews for many of the films nominated for the Academy Award for best picture. 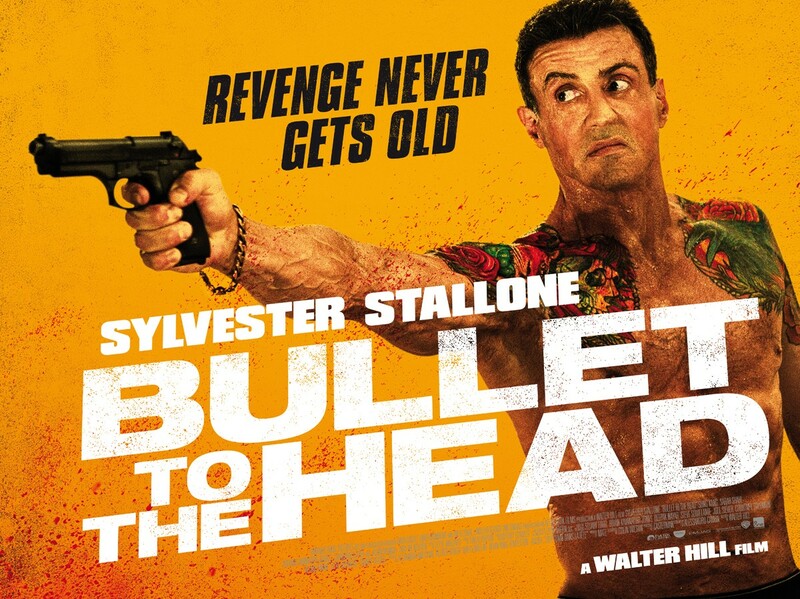 Bullet to the Head is not one of those films. It's an above average action movie that's fun to watch with a few friends. There's plenty of action and plenty of laughs to be had. 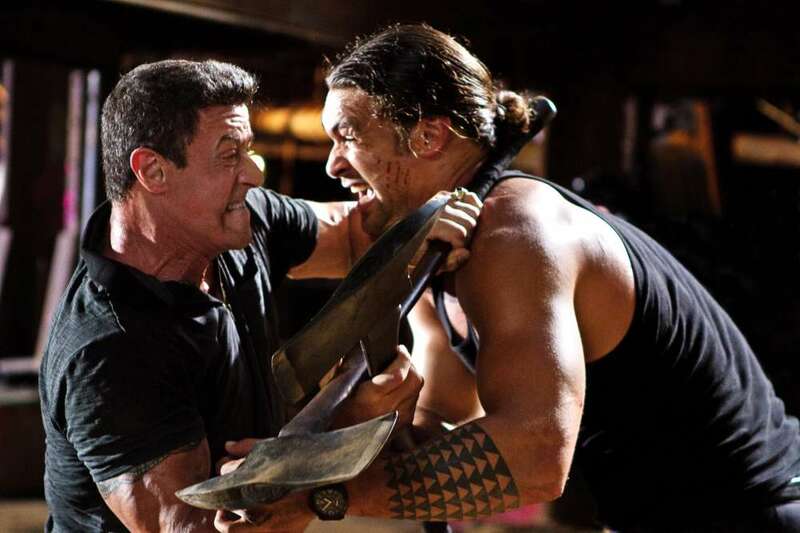 Brad and I saw this movie together and I think we enjoyed not only cheering Stallone on ourselves, but also listening to the rest of the audience do the same (there was a woman in her 50's sitting behind us who was really into this movie and enthusiastically rooted Stallone on). If you like Stallone, a good, action movie, and revenge flicks, you'll be entertained. If you're expecting to catch an early contender for best picture for next year, you'll probably be happier elsewhere. Justification for giving this move 3.5 stars instead of 3: This picture.